HeadCount! 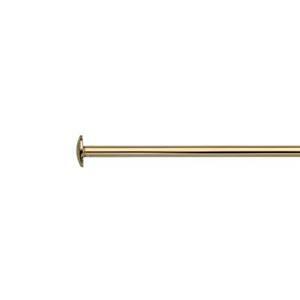 Our GFHP215 – 14/20 Yellow Gold-Filled 1.5 Inch, 22 Gauge Headpin! A Headpin you can Count On! Not too short, not too long, so there won’t be any waste for the experienced Wire Wrapper! Add a Pearl, Gemstone, or Bead, and Wire Wrap them to our Yellow Gold-Filled Footage Chain.